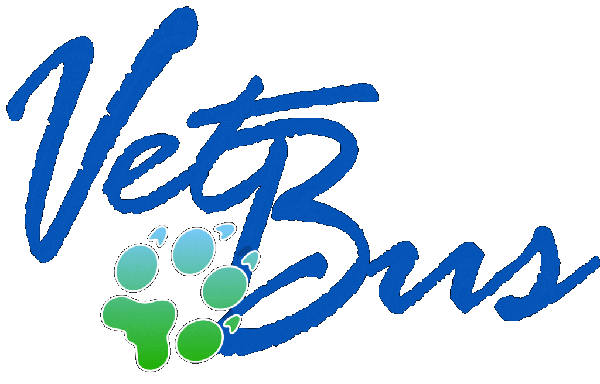 VetBus welcomes you to our website! The VetBus is a San Diego-based mobile small animal veterinary clinic that provides spays, neuters, professional anesthetic dentals, general surgeries and medicine in a state-of-the-art custom-built 33 foot vehicle. The clinic is veterinary-owned by Dr. Vera Heidolph and is based out of North County in San Diego. We support the efforts of animal shelters and rescues, and are committed to being part of the solution to the pet over-population dilemma. We offer high-quality, compassionate and individualized veterinary care, including spays and neuters. We no longer participate in the county’s low-cost spay and neuter program because there are several other larger local resources available to the public. We can customize our house call services to best serve your companion animal(s), especially those who are nervous or fearful in a veterinary office. When you need to make a very difficult decision about a beloved family member's quality of life, the VetBus can help determine if euthanasia is indicated. If so, we can provide a dignified, gentle, and compassionate passing for your companion animal in the comfort of your home. The VetBus is equipped with a double sterile surgery suite, a dental suite with digital dental x-rays, and housing for 29 cats and dogs while they await treatment or recover from their procedures. We understand the special role your cat or dog plays in your family and are dedicated to treating your pet as we would our own. This website provides information about our practice philosophy, our services, helpful forms to assist you, and an extensive Pet Medical Library for you to search for additional pet health care information. Thank you for taking the time to read about our mobile veterinary clinic and the services the VetBus offers. We welcome your comments and suggestions. Please email us or call (760)230-6040 for all your pet health care needs.